An internationally recognized expert on civil rights education and critical race theory will speak at the University of Oregon as part of this year’s African American Workshop and Lecture Series, delivering the UO School of Law’s Derrick Bell Lecture. Cheryl I. Harris, a professor of law at the University of California, Los Angeles, will speak on “Affirmative Action Chronicles: From the Era of Colorblindness to White Nationalism" on Feb. 19. The lecture will be in Room 110, Knight Law Center from noon to 1:30 p.m. An RSVP is suggested. Harris is the Rosalinde and Arthur Gilbert Foundation Chair in Civil Rights and Civil Liberties at UCLA. She teaches constitutional law, civil rights, employment discrimination, critical race theory and race conscious remedies and is the faculty director for the Critical Race Studies Program. Harris has been widely recognized as a groundbreaking teacher in the area of civil rights education. She received the ACLU Foundation of Southern California's Distinguished Professor Award for civil rights education. In addition to teaching, Harris has produced groundbreaking scholarship in the field of critical race theory, particularly how racial frames shape people’s understanding and interpretation of significant events like Hurricane Katrina, admissions policies and anti-discrimination laws. Yvette Alex-Assensoh, professor of political science and vice president for equity and inclusion, believes having Harris address these issues at this time is vital. “Cheryl Harris’ groundbreaking work on critical race theory, particularly as it impacts admissions policies and education, is critical for us to understand how best to position our work, policies and processes at the UO in ways that actually empower all members of our community, with a special focus on members who have been marginalized,” she said. Harris’ work has also addressed the interconnections between racial theory, civil rights practice, politics and human rights. She has been a main organizer of several major conferences that helped establish a dialogue between U.S. legal scholars and South African lawyers during the development of South Africa’s first democratic constitution. Her acclaimed and critical article in the Harvard Law Review, “Whiteness as Property,” was sparked by her work with these projects. Prior to her work at UCLA, Harris taught at Chicago-Kent College of Law, worked for one of Chicago’s foremost criminal defense firms and was a senior legal advisor in the city attorney’s office as part of the reform administration of Chicago Mayor Harold Washington. 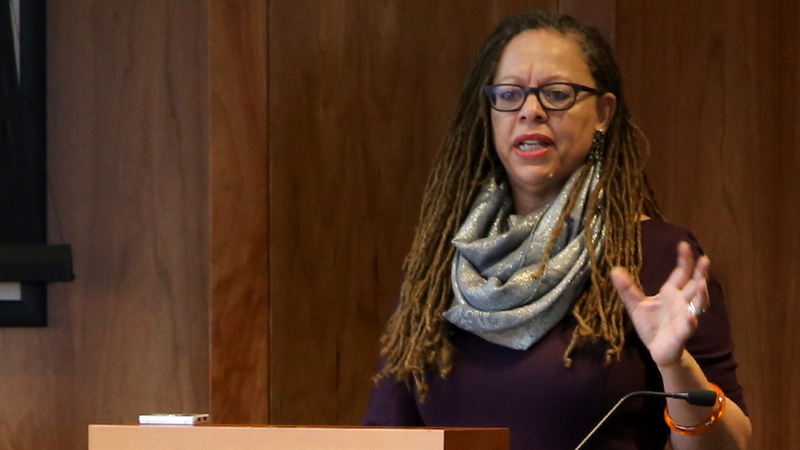 Harris lectures widely on issues of race and equality in the U.S. and abroad, including in Europe, South Africa and Australia, as well as frequently contributing to media outlets on relevant legal cases. For more information, see the Division of Equity and Inclusion website.